The Apartments of Wildewood spared no expense in furnishing their apartments with appliances. The Apartments of Wildewood apartments have gas cooking range and oven, full sized dishwashers, and full-sized washers and dryers. 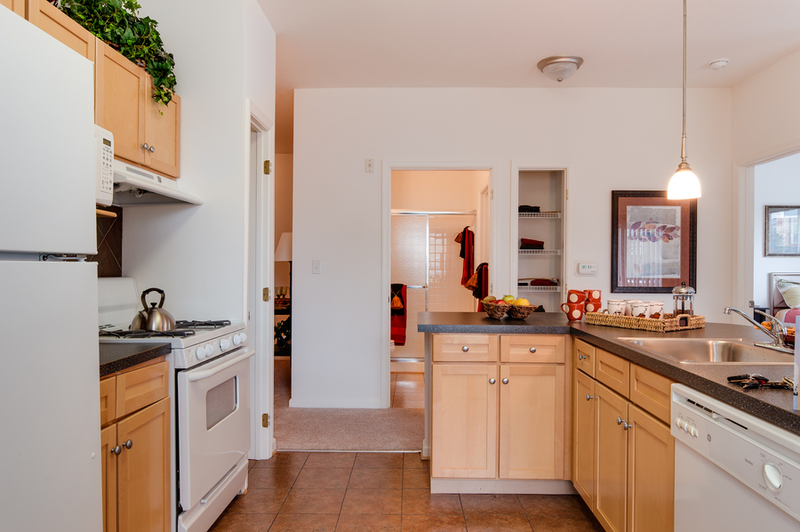 These appliances help make living at The Apartments of Wildewood the best apartment leasing experience you can find. The gas cooking range and oven represent a huge upgrade over electric stoves that any chef would appreciate. A gas range and oven provides more accurate and even cooking temperatures, so you can cook your meals too perfection. Gas ranges heat the food more quickly and also emit less waste heat, keeping your apartment a more even temperature, and not wasting as much energy as electric. Finally, in the event of a power outage, you can still cook with a gas range. This can be a comfort during those times of serious inconvenience that a long power outage can be. The speed and efficiency with which gas ranges and ovens cook makes them superior to electric ranges and ovens, and a definite bonus in your apartment. A full sized dishwasher, conveniently located in a well arranged kitchen is nothing to sneeze at. Cleaning up after a full meal can be inconvenient with a small sized dishwasher; even more so if you have guests and need to do several loads. With a full sized dishwasher in your kitchen you can clean up quickly, which makes entertaining more fun and less of a chore. The open layouts of The Apartments of Wildewood kitchens, also allows for the dishwasher to be reasonably loaded, without blocking off or taking up the entire kitchen space. Finally, a full sized washer and dryer combo, provides the icing to the cake of this apartment appliance confectionary. Being able to do large loads of clothes and make sure they all still dry evenly saves you time and the worry of damage to your clothes. Also having a full sized washer and dryer means you don’t have to go out to the laundry mat to wash your bulky items like comforters, quilts, and pillows. At The Apartments of Wildewood, located in stunning St. Mary’s Maryland, we offer homes with access to pools, an on-site gym, and maintenance whenever you need it – and have access to all the information you need to affordably rent a warm apartment in winter. Moreover, our apartments are some of the best looking out there, ripe for decorating the year round! To set up an appointment to check out an apartment rental from Apartments at Wildewood, call us at 301.737.0737or visit the website! This entry was posted on Monday, February 9th, 2015	at 8:41 pm	. Both comments and pings are currently closed.